He returned to Paris in 1885, Paul Gauguin’s last physical contact with his wife was in 1891 .In 1887, after visiting Panama, Gauguin spent several months near Saint Pierre in Martinique. While in Martinique, he produced between ten and twenty works and traveled widely and apparently came into contact with a small community of Indian immigrants, a contact that would later influence his art through the incorporation of Indian symbols. 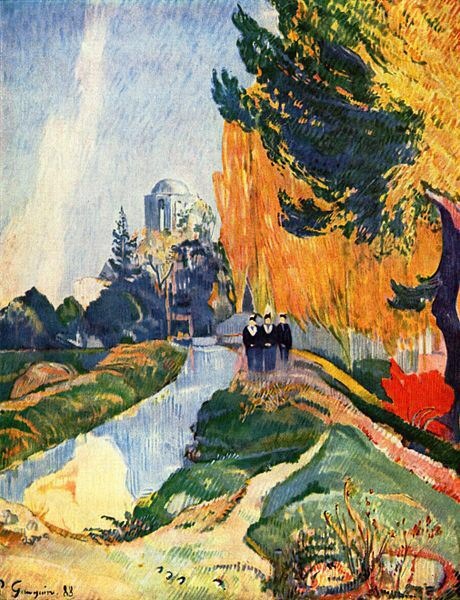 Gauguin, along with Émile Bernard, Charles Laval, Émile Schuffenecker and many others, frequently visited the artist colony of Pont-Aven in Brittany. By the bold use of pure color and Symbolist choice of subject matter, the group is now considered a Pont-Aven School. Sadly his paintings were not well appreciated until after his death. however Gaugiuin’s bold experimentation with coloring led directly to the Synthetist style of modern art and his art became popular after his death. Many of his paintings were in the possession of Russian collector Sergei Shchukin And he was later recognized for his experimental use of colors and synthetist style that were distinguishably different from Impressionism and he was influential to the Symbolist movement as a painter, sculptor, print-maker, ceramist, and writer, and hiswork also influenced that of the French Avante Garde such as Pablo Picasso and Henri Matisse. Best known as a founding member and bassist of the 1960s English band The Yardbirds, the Bass player Paul Samwell-Smith was born, 8 May 1943, in Richmond, Surrey. The Yardbirds spawned such noteworthy musicians as Jeff Beck, Eric Clapton, and Jimmy Page. As a youth, Samwell-Smith attended Hampton School with The Yardbirds drummer Jim McCarty. While in The Yardbirds, he co-produced and engineered much of their music, working with record producers such as Mickie Most, Simon Napier-Bell and Giorgio Gomelsky. He left The Yardbirds in June 1966 to pursue a career as a music producer. In late May 1963 he formed The Yardbirds with Keith Relf, Anthony Topham, Chris Dreja, and Jim McCarty. He mainly used an Epiphone Rivoli bass. He played on the UK albums, Five Live Yardbirds and Yardbirds (also known as Roger the Engineer) and on the US albums For Your Love, Having a Rave Up, and Over Under Sideways Down (which was Roger the Engineer retitled), all released on Epic Records. He provided background vocals on many songs like “Good Morning Little School Girl”, “For Your Love”, “Heart Full of Soul”, “Evil Hearted You”, and more. He composed the Gregorian chant arrangements and lyrics of the songs “Still I’m Sad” and “Turn Into Earth”. While in the Yardbirds he started working on the technical side in the studio. In 1966, becoming tired of touring and wanting to focus on production, he left the Yardbirds and was replaced by Jimmy Page. The last Yardbirds album he played on was Yardbirds (Roger the Engineer), (a.k.a. “Over, Under, Sideways, Down”). In the early 80s, Samwell-Smith played in the Yardbirds reunion band Box of Frogs with original Yardbird members Chris Dreja and Jim McCarty. The Box of Frogs did not tour because Chris Dreja was busy with his photography and Samwell-Smith was busy in the recording studio. He was inducted to the Rock and Roll Hall of Fame as a member of the Yardbirds in 1992. He went on to become a successful producer with credits including the most successful albums of Cat Stevens, and in addition, Jethro Tull, Carly Simon, Renaissance, Murray Head, Chris de Burgh, Beverley Craven, Illusion and Claire Hamill, as well as producing two of Amazing Blondel’s albums for Island Records, and the first and second albums by All About Eve for Mercury. Samwell-Smith also co-produced “American Tune” with Paul Simon. Paul Samwell-Smith was also the musical producer for the film Harold and Maude in 1971, with music written by Cat Stevens, which became a huge cult classic. he also produced Postcards from the Edge in 1990, as a music sound recording and recording supervisor. The band originally began playing cover material, ranging from pop to disco, before settling on original material .Van Halen released a total of six albums with David Lee Roth on Vocals, However the band had trouble working together as a cohesive unit and in 1982 Eddie Van Halen approached Simmons about possibly joining Kiss and replacing Ace Frehley. However Simmons & Alex persuaded Eddie to remain with Van Halen, and shortly afterwards the band released the album 1984; which yielded the band’s first Number 1 hit, “Jump“. Oher singles released from the album also sold well, particularly “Hot for Teacher”. The album peaked at Number 2 on the Billboard charts.Roth left the band and was replaced by former Montrose singer Sammy Hagar in July 1985, the band’s sound changed sewhat to adapt to the strengths of the new vocalist, as Eddie’s keyboard playing became a permanent fixture, heard in songs such as “Dreams”“Why Can’t this be Love“and “Love Walks In”. Even on the more rocking, guitar-driven songs, Eddie’s performances became looser, less aggressive, and some said more thoughtful, while others said more commercial. However, tensions within the band again arose over identity and artist direction, and Hagar, like Roth earlier, departed in June 1996. Hagar left behind him a portfolio of 4 studio albums with the band (5150, OU812, For Unlawful Carnal Knowledge, and Balance) as well as one live album (Live: Right Here, Right Now).Following Hagar’s departure, the group briefly reunited with original singer David Lee Roth and released Best of Volume I, a greatest hits package, in October 1996. Two new songs were recorded for the album, with the single “Me Wise Magic” reaching #1 on the mainstream rock chart (“Can’t Get This Stuff No More” was the other new single). However, previous disagreements resurfaced and the reunion did not last, as Roth left in September 1996, after the MTV Video Music Awards.The band auditioned many prospective replacements for Hagar, finally settling on Gary Cherone, former front man for Extreme, a band also represented by Van Halen’s manager. Cherone predicted that the new line-up would last ‘ten years’. The band also completed a world tour touting their new single “Without You” and did go back in the studio to start on a second record. However, Cherone soon had an amicable departure, and without a lead singer, Van Halen went on hiatus. In 2004, Van Halen returned with Hagar as their lead singer. A greatest hits package, The Best of Both Worlds, was released to coincide with the band’s reunion tour. The album included three new tracks recorded with Hagar (“Up For Breakfast”, “It’s About Time”, & “Learning to See”).On February 2, 2007, it was officially announced on the band’s website that David Lee Roth would rejoin Van Halen for their summer tour. The excitement regarding the tour waned when on February 20, 2007, reports surfaced that the tour was indefinitely postponed. A previously planned compilation of Roth era Van Halen hits was likewise shelved.However after six months and a stint in rehabilitation for Eddie, it was finally confirmed by the band that they would do a tour with the new lineup from late 2007-mid 2008 across North America, with further worldwide . The latest album A Different kind of Truth was released in 2012. The late, great American Author Peter Bradford Benchley was born May 8, 1940. He was the son of Marjorie (née Bradford) and author Nathaniel Benchley and grandson of Algonquin Round Table founder Robert Benchley. His younger brother, Nat Benchley, is a writer and actor. Peter Benchley was an alumnus of The Allen-Stevenson School, Phillips Exeter Academy, and Harvard University. After graduating from college in 1961, Benchley travelled around the world for a year. The experience was told in his first book, a travel memoir titled Time and a Ticket, published by Houghton Mifflin in 1964. Following his return to America, Benchley spent six months reserve duty in the Marine Corps, and then became a reporter for The Washington Post. While dining at an inn in Nantucket, Benchley met Winifred “Wendy” Wesson, whom he dated and then married the following year, 1964. By then Benchley was in New York, working as television editor for Newsweek. In 1967 he became a speechwriter in the White House for President Lyndon B. Johnson, and his daughter Tracy was also born 1967. Once Johnson’s term ended in 1969, the Benchleys moved out of Washington, and lived in various places, including an island off Stonington, Connecticut where son Clayton was born in 1969. Peter wanted to be near New York, and the family eventually got a house at Pennington, New Jersey in 1970. By 1971, Benchley began doing various freelance jobs in his struggle to support his wife and children. His literary agent arranged many meetings with publishers. Benchley would frequently pitch two ideas, a non-fiction book about pirates, and a novel depicting a man-eating shark terrorizing a community. This idea had been developed by Benchley since he had read a news report of a fisherman catching a 4,550 pound great white shark off the coast of Long Island in 1964. The shark novel eventually attracted Doubleday editor Thomas Congdon, who offered Benchley an advance of $1,000 leading to the novelist submitting the first 100 pages. Much of the work had to be rewritten as the publisher was not happy with the initial tone. Benchley worked by winter in his Pennington office, and in the summer in a converted turkey coop in the Wessons’ farm in Stonington. The idea was inspired by the several great white sharks caught in the 1960s off Long Island and Block Island by the Montauk charterboat captain Frank Mundus. 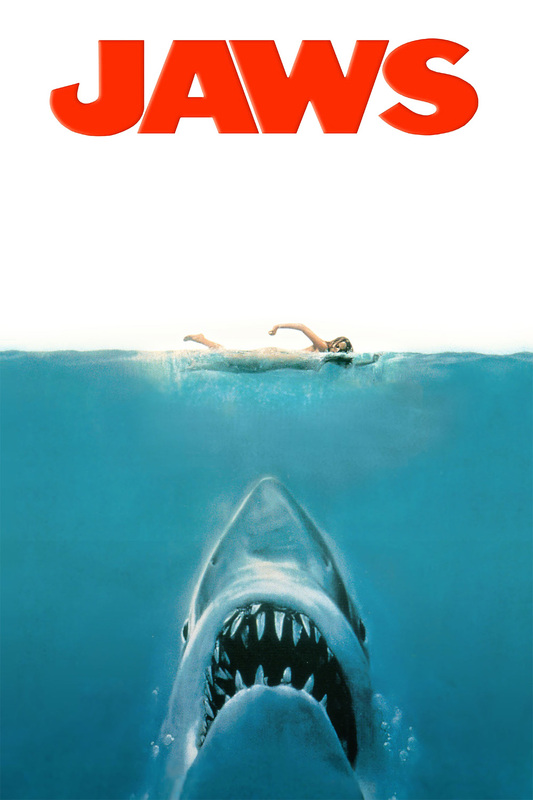 Jaws was published in 1974 and became a great success, staying on the bestseller list for some 44 weeks. Steven Spielberg has said that he initially found many of the characters unsympathetic and wanted the shark to win. Book critics such as Michael A. Rogers of Rolling Stone shared the sentiment however the book struck a chord with readers. Benchley also co-wrote the screenplay with Carl Gottlieb (along with the uncredited Howard Sackler and John Milius, who provided the first draft of a monologue about the USS Indianapolis) for the Spielberg film released in 1975. Benchley made a cameo appearance as a news reporter on the beach. The film, starring Roy Scheider, Robert Shaw, and Richard Dreyfuss, was released in the summer season, with editing by Verna Fields, score by John Williams and directed by Steven Spielberg who was credited with infusing the film with such an air of understated menace that he was hailed as the heir apparent to “Master of Suspense” Alfred Hitchcock. Jaws became the first film to gross over $100 million in United States and grossed over $470 million worldwide. George Lucas used a similar strategy in 1977 for Star Wars which broke the box office records set by Jaws, and hence the summer blockbuster was born. The film spawned three sequels, none of which matched the success of the original critically or commercially, two video games, Jaws in 1987 and Jaws Unleashed in 2006 and was also adapted into a theme park attraction at Universal Studios Florida (in Orlando, Florida and Hollywood), and two musicals: JAWS The Musical!, which premiered in the summer of 2004 at the Minnesota Fringe Festival; and Giant Killer Shark: The Musical, which premiered in the summer of 2006 at the Toronto Fringe Festival. Benchley’s second novel, The Deep, is about a honeymooning couple who discover sunken treasures on the Bermuda reefs—17th-century Spanish gold and a fortune in World War Two-era morphine and are subsequently targeted by a drug syndicate. This 1976 novel is based on Benchley’s chance meeting in Bermuda with diver Teddy Tucker while writing a story for National Geographic. Benchley co-wrote the screenplay for the 1977 film release, along with Tracy Keenan Wynn and an uncredited Tom Mankiewicz. Directed by Peter Yates and starring Robert Shaw, Nick Nolte and Jacqueline Bisset, it was released in 1977. Benchley’s third novel The Island, was published in 1979, was a story of descendants of 17th century pirates who terrorize pleasure craft in the Caribbean, leading to the Bermuda Triangle mystery. Benchley again wrote the screenplay for the film adaptation for the film version of The Island, starring Michael Caine and co-starring David Warner. During the 1980s, Benchley wrote three novels, Girl of the Sea of Cortez, a fable influenced by John Steinbeck about man’s complicated relationship with the sea, Which featured Benchley’s growing interest in ecological issues and anticipated his future role as an impassioned advocate of the importance of protecting the marine environment. Q Clearance, which was published in 1989, which is a semi-autobiographical work, loosely inspired by the Benchley family’s history of alcohol abuse. In 1991 Benchley wrote the novel Beast about a Giant Squid threatening Burmuda. Beast was brought to the small screen as a made-for-television film in 1996, under the title The Beast. His next novel, White Shark, was published in 1994 and was the story of a Nazi-created genetically engineered shark/human hybrid. White Shark was also turned into a made-for-television film titled Creature. Also in 1994, Benchley hosted Discovery Channel’s Shark Week. In 1999, the television show Peter Benchley’s Amazon was created, about a group of plane crash survivors in the middle of a vast jungle. Benchley later wrote factual works about the sea and about sharks advocating their conservation. Among these was Shark Trouble, which illustrated how hype and news sensationalism can help undermine the public’s need to understand marine ecosystems and the potential negative consequences as humans interact with it. Shark Trouble was written to help the public understand “the sea in all its beauty, mystery, and power.” And mentions that man’s relationship with the marine environment, particularly his ignorance and greed, have led to many marine species becoming increasingly threatened with extinction. Benchley was a member of the National Council of Environmental Defense and a spokesman for its Oceans Program and was also one of the founding board members of the Bermuda Underwater Exploration Institute (BUEI). Benchley sadly died on 11 February 2006 of pulmonary fibrosis in 2006. But leaves a rich legacy of novels and television work. The Peter Benchley Ocean Awards were also instituted by Wendy Benchley and David Helvarg In light of Peter Benchley’s life-long record of shark conservation and educating the public about sharks. English wildlife enthusaist Sir David Attenborugh OM, CH, CVO, CBE, FRS, FZS, FSA was born 8th May in 1926. He is a younger brother of the late director, producer and actor Richard Attenborough and His career as the face and voice of natural history programmes has endured for more than 50 years. He is best known for writing and presenting the Life series, in conjunction with the BBC Natural History Unit, which collectively form a comprehensive survey of all life on the planet. Attenborough grew up in College House on the campus of the University College, Leicester, where he spent his childhood collecting fossils, stones and other natural specimens. He received encouragement in this pursuit at age seven, and one of his adoptive sisters also gave him a piece of amber filled with prehistoric insects. He was educated at Wyggeston Grammar School for Boys in Leicester and then won a scholarship to Clare College, Cambridge in 1945, where he studied geology and zoology and obtained a degree in natural sciences. In 1950, he applied for a job as a radio talks producer with the BBC and attracted the interest of the head of the Factual broadcasting department of the BBC and joined the BBC full-time. Attenborough’s association with natural history programmes began when he produced and presented the three-part series The Pattern of Animals, which discussed the use of camouflage, aposematism and courtship displays among animals. Through this programme.Attenborough met the curator of the zoo’s reptile house, and they decided to make a series about an animal-collecting expedition. The result was Zoo Quest, first broadcast in 1954, which Attenborough presented. In 1957, the BBC Natural History Unit was established and Attenborough formed the Travel and Exploration Unit, allowing him to continue to front Zoo Quest as well as produce other documentaries, notably the Travellers’ Tales. Attenborough also began studying for a post-graduate degree in social anthropology at the London School of Economics, however he returned to the BBC as controller of BBC Two before he could finish the degree and became the controller of BBC Two in March 1965 but was allowed to continue sudying as well as making programmes on an occasional basis. Later the same year, he filmed elephants in Tanzania, and in 1969, he made a series on the cultural history of the Indonesian island of Bali. For the 1971 film A Blank on the Map, he joined the first Western expedition to a remote highland valley in New Guinea to seek out a lost tribe. As controller of BBC2 Attenborough established a portfolio of diverse and different programmes which defined the channel’s identity including music, arts, entertainment, archaeology, experimental comedy, travel, drama, sport, business, science and natural history programmes such as Man Alive, Call My Bluff, Chronicle, Life, One Pair of Eyes, The Old Grey Whistle Test, Monty Python’s Flying Circus and The Money Programme. He also ordered a 13-part series on the history of Western art, which was Broadcast in 1969 and set the blueprint for landmark documentaries. Others followed, including The Ascent of Man and Alistair Cooke’s America. Attenborough thought that the story of evolution would be a natural subject for such a series. He shared his idea with a producer at the Natural History Unit, who came up with the title Life on Earth and returned to Bristol to start planning the series.Early the following year, he returned to full-time programme-making, leaving him free to write and present the planned natural history epic. Attenborough became a freelance broadcaster and immediately started work on his next project, which resulted in the 1973 series Eastwards with Attenborough, which was similar to Zoo Quests . On his return, he began to work on Life on Earth. Due to the scale of his ambition, the BBC decided to partner with an American network meanwhile he worked on a number of other television projects including a series on tribal art (The Tribal Eye) and another on the voyages of discovery (The Explorers). Life on Earth began production in 1976 And Attenborough set about creating a body of work which set the benchmark for wildlife film-making and influence a generation of documentary film-makers. By treating his subject seriously and researching the latest discoveries, Attenborough and his production team gained the trust of the scientific community, who responded by allowing him to feature their subjects in his programmes. In Rwanda, Attenborough and his crew were granted privileged access to film Dian Fossey’s research group of mountain gorillas. new film-making techniques were devised to get hitherto unfilmable events and animals. Attenborough also managed to visit several locations around the globe in each episode, sometimes even changing continents mid-sentence. Although appearing as the on-screen presenter, he consciously restricted his pieces to camera to give his subjects top billing. The success of Life on Earth prompted the BBC to consider a follow-up, and five years later, The Living Planet was screened dealing with the theme of ecology, how living things adapt to their environment. 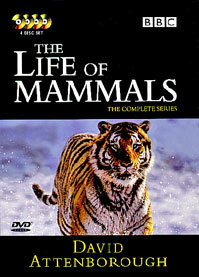 It was another critical and commercial success, generating huge international sales for the BBC.In 1990, The Trials of Life completed the original Life trilogy, looking at animal behaviour through the different stages of life. In 1993, he continued with Life in the Freezer, which surveyed the natural history of Antarctica, and then embarked on a number of more specialised surveys of the natural world, beginning with plants. The result, The Private Life of Plants , showed plants as dynamic organisms by using time-lapse photography to speed up their growth. 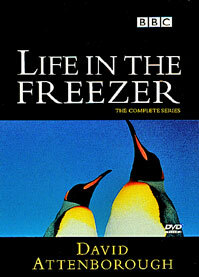 Attenborough then made The Life of Birds dealing with Avian matters. Technological developments in camera technology played a big part in subsequent program’s and for the next series Life of Mammals, low-light and infrared cameras were deployed to reveal the behaviour of nocturnal mammals. Advances in macro photography also made it possible to capture natural behaviour of very small creatures for the first time, and in 2005, Life in the Undergrowth dealt with the hitherto hidden world of invertebrates.The Next series Attenborough made was Life in Cold Blood which dealt with Reptiles and Amphibians. 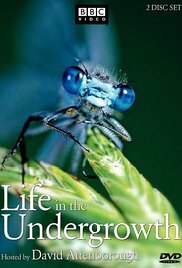 The Life program’s were assembled In a DVD encyclopaedia called Life on Land. 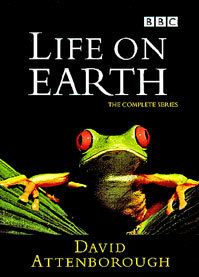 Then in 2010 Attenborough made First Life — dealing with evolutionary history before Life on Earth. He has continued to work on other documentaries, and his voice is synonymous with many other wildlife documentaries including The First Eden, Lost Worlds Vanished Lives, Wildlife on One, BBC Wildlife Specials, The Blue Planet, Nature’s Great Events, Life, Frozen Planet, Wildlife on One and the Natural World. n 1997, he narrated the BBC Wildlife Specials, each focussing on a charismatic species, and screened to mark the Natural History Unit’s 40th anniversary, and continued to collaborate with the BBC Natural History Unit in the new millennium. 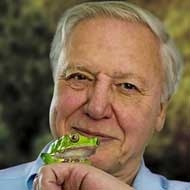 Attenborough then narrated The Blue Planet (2001), which dealt with marine life, And Planet Earth (2006), the biggest nature documentary ever made for television. In 2011, he narrated Frozen Planet featuring the Natural History of the Polar Regions.In 2009, he co-wrote and narrated Life, a ten-part series focussing on extraordinary animal behaviour, and narrated Nature’s Great Events, which showed how seasonal changes trigger major natural spectacles. Recently Attenborough’s documentaries have became more overtly environmentalist. In State of the Planet, he assesses the impact man’s activities have had on the natural world by using scientific evidence and interviews with leading scientists and conservationists. He has also addressed global warming (The Truth about Climate Change) and human population growth (How Many People Can Live on Planet Earth?) and Highlighted the plight of endangered species in BBC’s Saving Planet Earth project in 2007, the 50th anniversary of the Natural History Unit. Attenborough is also working on documentaries for Sky’s new 3D network, Sky 3D. Their first collaboration was Flying Monsters 3D, a film about pterosaurs a second film, The Bachelor King, followed a year later, and further collaborations are planned including a series on plants, and following that, a series on the wildlife of the Galapagos Islands. and a second series of First Life, which explored the origins of life on Earth. In 2012 Attenborough celebrated 50 years in broadcasting and during this long and distinguished career he has been given many honorary degrees by British universities. In 1980, he was honoured by the Open University. He also has honorary Doctor of Science awards from the University of Cambridge, the University of Oxford and the University of Bath. In 2006, he received the title of Distinguished Honorary Fellows of the University of Leicester, “in recognition of a record of continuing distinguished service to the University.” David Attenborough was also awarded an honorary Doctor of Letters degree by the university in 1970, and was made an honorary Freeman of the City of Leicester in 1990. He has also received the title Honorary Fellow from Clare College, Cambridge, the Zoological Society of London, the Linnean Society, the Institute of Biology and the Society of Antiquaries, snd was named as the most trusted celebrity in Britain in a 2006 Reader’s Digest poll. The following year he won The Culture Show’s Living Icon Award and was also named among the 100 Greatest Britons in a 2002 BBC poll and is one of the top ten “Heroes of Our Time” according to New Statesman magazine. He also has the distinction of having a number of newly-discovered species and fossils being named in his honour. In 1993, a fossilised Mesozoic armoured fish discovered in Western Australia was given the name Materpiscis attenboroughi, which is also believed to be the earliest organism capable of internal fertilisation. He has also lent his name to a species of Ecuadorian flowering tree, Blakea attenboroughi, one of the world’s largest-pitchered carnivorous plants, Nepenthes attenboroughii, and one of only four species of long-beaked echidna, the critically endangered Zaglossus attenboroughi, discovered by explorer and zoologist Tim Flannery in the Cyclops Mountains of New Guinea in 1998, and In September 2009, London’s Natural History Museum opened the Attenborough Studio, part of its Darwin Centre development. An arctic research vessel has also recently been named Sir David Attenborough. Attenborough’s contribution to broadcasting and wildlife film-making has brought him international recognition. He has been called “the great communicator, the peerless educator” and “the greatest broadcaster of our time”. His programmes are often cited as an example of what public service broadcasting should be, and have influenced a generation of wildlife film-makers. 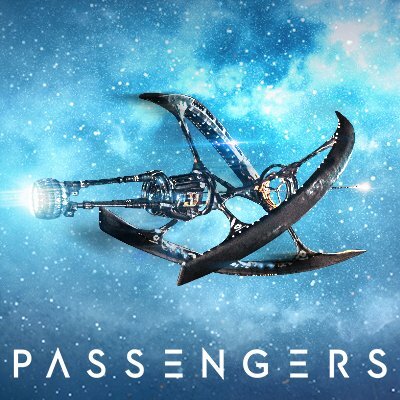 The DVD for the American science fiction film Passengers is out Monday 8 May. The film was directed by Morten Tyldum and written by Jon Spaihts. It stars Jennifer Lawrence, Chris Pratt, Michael Sheen, and Laurence Fishburne. It features The starship Avalon which is transporting 5,000 colonists and 258 crew members, in hibernation pods, to a new life on the planet Homestead II, a journey taking 120 years which necessitates that the passengers be put into cryogenic suspension so that they will survive this long. However Thirty years into its journey, the ship passes through a meteor storm, which damages the ship and causes a malfunction. The malfunction awakens mechanical engineer Jim Preston (Chris Pratt), 90 years early. After a year of isolation, with no company except Arthur (Michael Sheen), an android bartender, Jim gets increasingly depressed Until One day, he notices Aurora Lane (Jennifer Lawrence) in her pod. so he revives her, claiming her pod also must have malfunctioned. Jim and Aurora face living the rest of their lives on board, with every luxury they could ever ask for, and begin to fall for each other, until Arthur inadvertently reveals the truth to Aurora who gets understandably angry and distraught at having the chance of a new life taken away from her.